If you have any recollection of Fat Lever or Sidney Moncrief, you must have enjoyed the display put on last night against Dallas by the Celtic duo of Terry Rozier and rookie sensation Jayson Tatum … take this for data! The Mavericks were off-target on 52 FG attempts and two live-ball free throws; including two Team Offensive Rebounds, they regained possession of eight of those misses (good for four “follow-up” points). 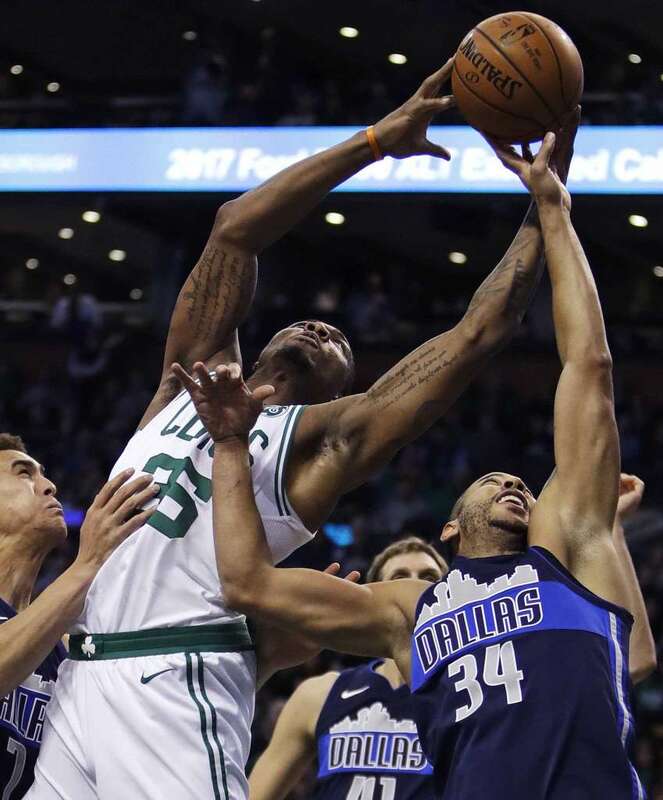 Boston players were credited with a defensive rebound for 44 of those misses, 18 of those falling into the dependable hands of R&T Enterprises – in all, guards and wings accounted for nearly half (21) of those D-boards. 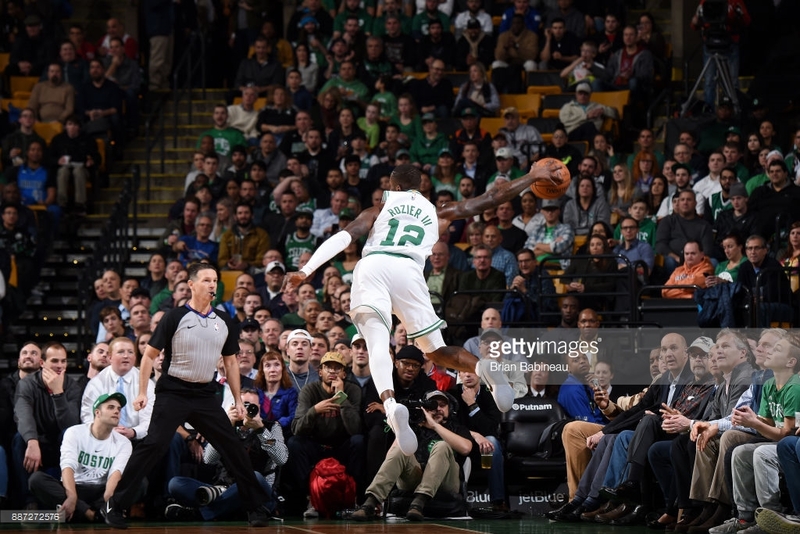 For one not-really-so-brief stretch of play – ten consecutive possessions in a game when they totaled 96 opportunities to score – the Boston Celtics completely eschewed the two-point FG attempt in any way, shape or form. From the final offensive possession of Q1 through the first nine of Q2, they piled up one turnover, one OR and 10 treys (four successful) – no deuces or FT’s. For, the record, the teams played even (12-12) during this sequence. Brad’s Bombardiers fell short of 50% shooting from the field for the first time in six games. All but one of those 50+% games have occurred in the friendly confines of the TD Garden – on the bright side, the Celtics’ best FG performance of the season (.563) occurred a couple of weeks ago in Indiana.